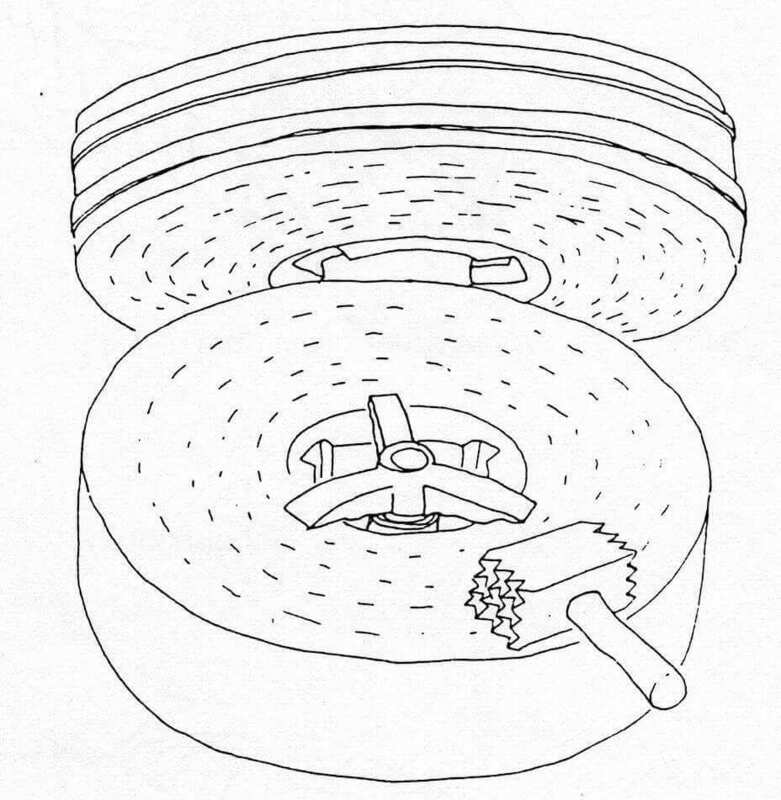 The term “two-wheel lapping/flathoning” refers to a stock removal or cutting procedure between two rotating discs. This description explains how the discs rotate in relation to each other, how the work pieces are held and moved in the carriers between them and how the removal mechanisms behave. The text is kept as simple as possible and is designed to be easily comprehensive and instructive for average workers in practice and in the workshop. The theory involved has therefore been omitted to a large extent. As with the single-wheel lapping machine, the origins of these procedures can be found in the Stone Age. 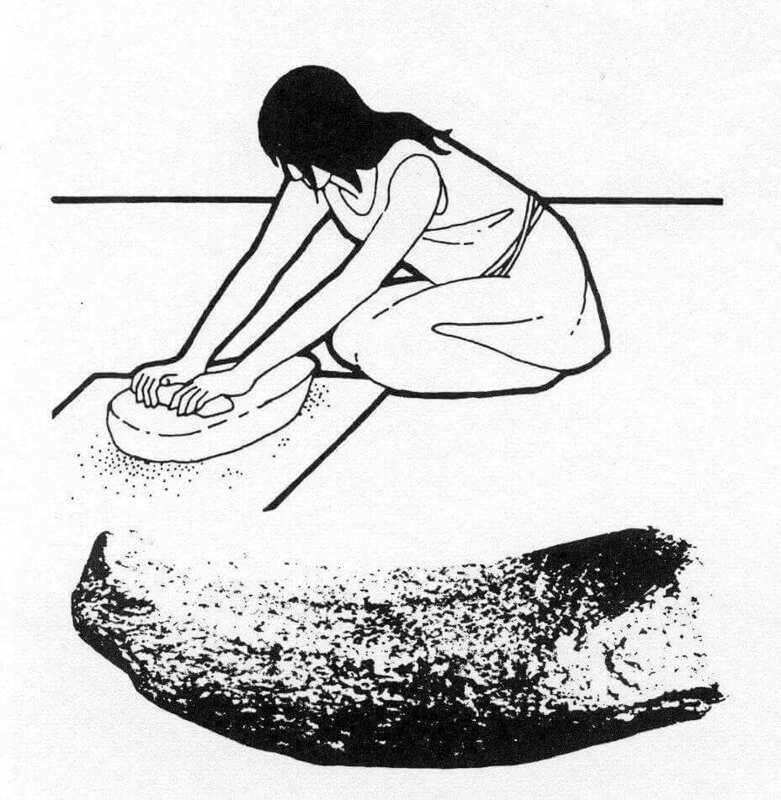 Even at that time, grinding corn involved a type of rubbing of two surfaces against each other with the product in between. The corn (grain) makes a rolling movement between the discs until it breaks down under the pressure and becomes flour. (Cf. also Chapter 2 under print “Die Lapp-Technik” (“The Technique of Lapping”) by A.W. Stahli). Any spelt had to be removed before the grain could be ground. This was done in a rolling movement between two grooved stones, and the gab (Slip was measured so that the grain was only rubbed gently and not ground. In Our lapping procedure, the modern “grain” (produced synthetically and calibrated precisely) removes material from the work pieces inserted between the two discs. The two-wheel lapping procedure is easy to understand and is more readily accepted as the acknowledged processing method than single-wheel lapping. For obvious reasons, it is also comparable to two-wheel grinding. (cf. also Chapter 6 – flathoning). It is also evident that, in this process, the material is removed on both sides but also parallel. an initial view of and/or contact with this procedure does not reveal the full issue and the possible effects of wear on the two discs. However, a deeper study of the procedure is interesting and some research results from universities are available.